Evans, 61, the CEO of a nonprofit in Arizona, had been waiting nearly four years for a new heart. When asked if he was interested in enrolling in the research study, he said he thought the concept of a "warm, beating heart" sounded like common sense. His transplant surgery took place in June. The Organ Care System (OCS), developed by a medical device company called TransMedics, works this way: After a heart is removed from a donor's body, it is placed in a high-tech OCS device and is immediately revived to a beating state, perfused with oxygen and nutrient-rich blood, and maintained at an appropriate temperature. The device also features monitors that display how the heart is functioning during transport. 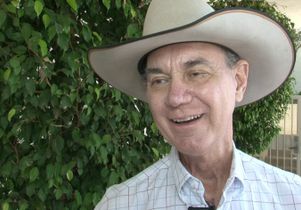 With his new, strong heart beating inside his chest, Evans says he is thankful to the donor family for his gift of life and that he is ready to get back to the things he loves, including riding horses, playing with his grandson, and his work. But first, he jokes, he plans on tackling his wife's "to do" list of chores.